Imagine having the power at work to make whatever decision you want, doing whatever job you want and getting whatever salary you want. At ET Group, there’s no need to imagine it. It’s a reality as part of the self-management AV business structure that’s been in place for the past two years. Here are a few ways the Toronto-based company is setting itself apart from its competitors—and winning industry awards and attention in the process. While some employees carry traditional titles, such as CEO and chief strategy officer, the whole philosophy of and approach behind ET Group’s transformation is about inclusion and equality. 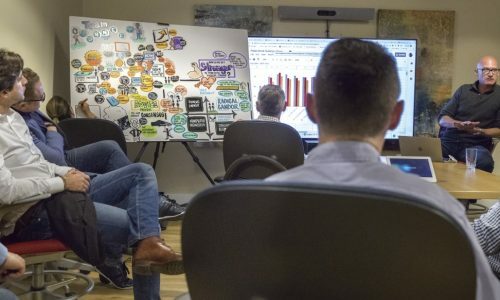 There’s no traditional AV business management team, only project teams focused on drumming up new work for the flourishing company and nurturing long-term relationships with clients and prospects. As part of the transformation, ET Group eliminated all management roles, all commissions and some HR functions that are considered standard and necessary in most AV businesses. ET Group no longer has employees who come to work every day and do the same thing or who follow a particular job description. They instead “energize” particular roles, whether it’s for a day, a week, a month or a year. “We used to have positions, but we’ve teased out the human being,” says CEO Dirk Propfe. 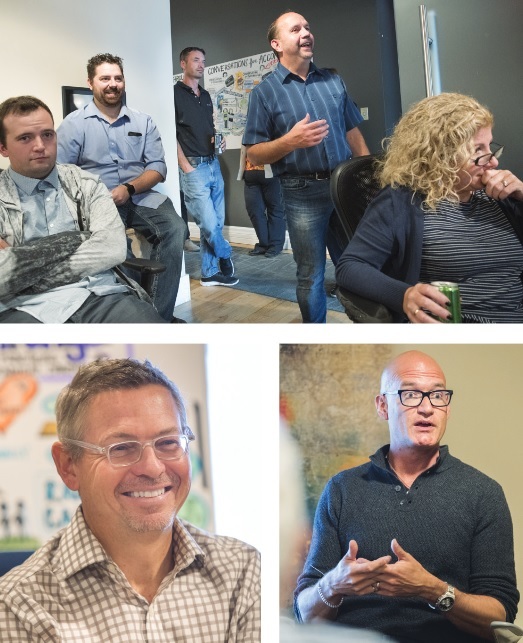 “People now dynamically change the roles they’re energizing. You don’t own the role. You’re using your energy to do the accountability related to that specific role. “These new ways of working really enable people to use their strengths to change course. People are able to change what they’re doing and continue growing as individuals. It makes everyone in the organization powerful. You can’t get road-blocked on doing the right thing,” he says. If you want to make a change or a purchase at ET Group, you have to talk to anyone who will be “meaningfully impacted” by the decision and people who have experience in that area. “It ensures you’re tapping into collective intelligence before making a decision,” says Propfe. That employee talked to everyone in the company and asked industry experts what they thought, while also bringing in three vendors to discuss alternatives. He was able to renegotiate with the existing provider for more benefits at a better rate than before. “We ended up spending a little bit more, but getting so much more,” says Propfe, who said he spent about 10 minutes talking to the employee who ultimately made the decision to upgrade the employee benefits. That conversation was about Propfe’s feeling on the benefits he got. Another employee decided it was time for ET Group to replace a truck and Propfe wasn’t part of the decision at all since it didn’t directly affect him or his work. 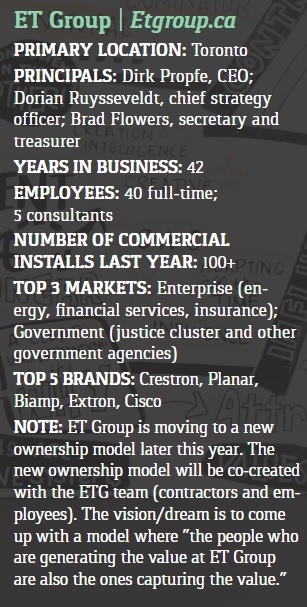 Did we mention” ET Group employees self-set their salaries after a year with the company? “It becomes a magnet for talent,” says Propfe. “There’s a lot of talent in the industry who haven’t been able to express their strengths.” He describes ET Group as a “healthier, more collaborative environment” than what most workers experience.